Small and Medium Enterprises are pro at hardwork and multi tasking. Be it finance department or HR, they handle everything on their own. Managing so much all alone is a pain; especially when your business is growing and facing competition. We present you with some easy and helpful tips to lessen your burden. The objectives and goals are your business driving forces. Put them right in front of your eyes. Note them somewhere, get them framed or set them as your wallpaper; do anything but look at them daily. Set your short term and long term goals. Arrange them according to their priority. Outline your objectives. Doing so will help you get a clear picture of what you have to do, where you have to reach and what are your time limits. Realising your goals on a daily basis gives you motivation and encouragement to succeed. Preparing To-Do lists is vital. Make To-Do lists so that they could be turned into Ta-Da lists. To-Do lists hold important spot because they’re your goals for that particular time period. Accomplishing your daily goals is what drives your business towards achieving long term goals and be successful. Don’t let post-it notes clutter your desk. Go smart, use a web-based or mobile based application to record all necessary information in one place. No matter how much of a perfectionist you are, at some point of time you will need a team. In the initial stage, it is recommended that you hire people with experience. They might cost you a bit but in the end, it is beneficial for your own business. Motivating your team is equally important for getting higher outputs. Taking short breaks in between work helps you ease out your stress levels. Long working hours can be tiring and frustrating if you don’t stretch out for a while. Often, a cup of coffee in the afternoon goes a long way to firing up that waning productivity. Sip a cup of coffee or just roam around your office, don’t just sit at your desk for long hours as it can be harmful to your mental as well as physical health. You can take work from home and skip going to the office. Relax on your couch while working. This way you can take a break from the monotonous routine of going to the office and simultaneously complete your tasks too. In today’s time, there is no limit no end to technology. From a pop-up toaster to supercomputers, everything is running on technology. Think of incorporating technology into your work practices. You can check out automation and optimisation for more information. 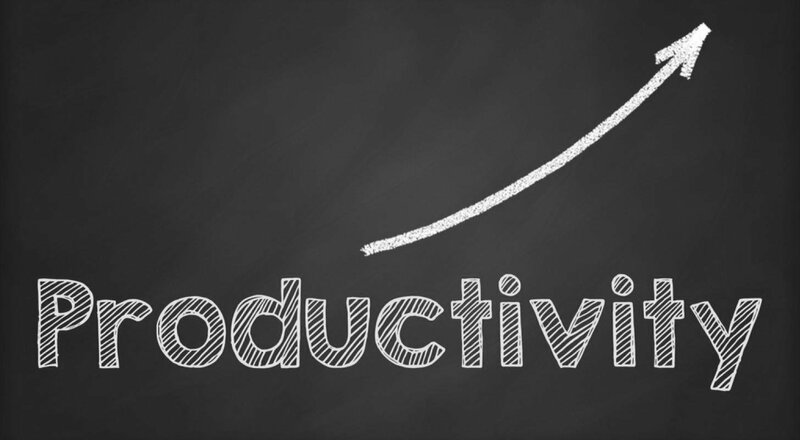 Like these, there are numerous ways to help you with increasing your productivity without affecting your work. It is you who have to analyse what is good and what is bad for your business.